Diplomacy moved forward in South Africa, but the conference still failed the climate. Joydeep Gupta gives the lowdown on what did – and didn’t – happen in Durban. By themselves, the decisions taken at the United Nations climate summit in South Africa, which wrapped up on Sunday, are going to do almost nothing to combat climate change. No new pledge has been made by any country to control the emission of the greenhouse gases that are warming the atmosphere. All we have is a promise to “negotiate” the pledges. The new thing is that pledges made by developing countries – whatever they may be – will be under some sort of a legal treaty after 2020. That is if, and it’s a big “if”, the 194 governments and the European Union can finalise the treaty before 2020. They now say they will finalise it by 2015, but their past record on keeping deadlines does not inspire confidence. European countries at least have also promised to reduce their greenhouse-gas emissions during a second commitment period of the Kyoto Protocol – the only legal instrument for that purpose to date. But no country has yet mentioned the extent by which it will cut its emissions (they have been asked to do so by next May). Meanwhile, large emitters Russia and Japan have said they will not make any promise for this period, which may end in 2017 or 2020, while Australia and New Zealand have said they will think about it. The protocol is too weak to punish any country that wants to opt out. Canada has now officially pulled out of Kyoto and Peter Kent, its environment minister, has calculated his country has saved US$14 billion (89 billion yuan) in penalties. And of course, the protocol can do nothing to the United States, which refused ever to ratify it. So right now we’re still going by the voluntary emission pledges countries made at the 2009 Copenhagen summit. And that, the United Nations Environment Programme (UNEP) tells us, is 40% short of what we need to keep average global temperature rise within two degrees Celsius above pre-industrial temperatures. That is the goal countries agreed to in Copenhagen, though as far back as 2007 the Intergovernmental Panel on Climate Change (IPCC) said a two-degree rise could have a “damaging effect on water supplies, biodiversity, food supplies, coastal flooding and storms and health”. The IPCC has also stated that, in order to stay below the two-degree limit, greenhouse-gas emissions must fall by 50% to 85% by 2050 globally compared to emissions in 2000, and that “global emissions must peak well before the year 2020, with a substantial decline after that.” In the near term, it said, this requires emissions from industrialised countries to fall by 25% to 40% below 1990 levels by 2020, while “substantial deviations from the current trend in developing countries and emerging economies will also be required.” To that, the International Energy Agency has added that the world needs to change its energy investment trajectory by 2017: after that date it will become far more expensive to do so. There is no sign that any government is heeding these warnings. It gets to a point where thousands of people are hoping for any agreement, however weak. What gets accepted is the pace at which the most reluctant country agrees to move. That is definitely far too slow to combat climate change, which is already affecting farm output worldwide and shortening and intensifying the water cycle we all studied in primary school. The result is drier dry seasons and wetter, stormier wet seasons. Despite the grandstanding by many, the only countries that seem genuinely interested in reducing emissions faster are the small islands where homes and farms are already being washed away by rising seas – another impact of climate change. What is new about the agreement this year is the prospect that emerging economies like China, India, Brazil or South Africa will have to make greenhouse-gas emission control commitments under a legal regime that will come into effect after 2020. This flies in the face of historical responsibility, since rich nations have put well over 90% of the extra greenhouse-gas that has accumulated in the atmosphere since the start of the industrial age. It also flies in the face of equity, because per capita greenhouse-gas emission in the emerging economies is still a fraction of that in North America or Europe. But, overall, China is now the largest emitter and India the fourth largest, so it does make sense – even for them – to control carbon output. They are already doing a lot, as Xie Zhenhua, vice minister of China’s National Reform and Development Commission, the country’s top economic planner, reminded everybody during the summit’s emotion-charged final session. What they are likely to do is to allow their 2009 offers to be written into a legal treaty. Those offers were to cut carbon intensity, in other words to reduce emissions per unit of production, not emissions themselves. Most sensible people realise that a country like India, where half the people still do not have electricity, cannot possibly be asked to cut actual emissions. So the cuts will have to come from the rich nations, and there is absolutely no sign of that happening soon. There were some other promising developments in Durban. The birth of the Green Climate Fund, conceived during the 2010 summit in Cancún, means poor countries already facing the effects of global warming can at least hope to get some money to help them adapt, though nobody knows how much there will be in the kitty and there is still no sign of any long term finance. With the European commitment to continue the Kyoto Protocol, there is also certainty that the carbon market will survive, at least until 2017. That means developing countries can continue projects under the Clean Development Mechanism (CDM), projects that are helping them move towards a greener economy and earn money at the same time. Nonetheless, experts and observers are dissatisfied. Steve Sawyer, secretary general of the Global Wind Energy Council, warned that both the level of ambition and the speed of the negotiations need to increase dramatically to meet the challenge of global climate change. “At some point, diplomacy and short-term national interests must come face to face with the facts. Action which does not begin until after 2020 will be too little too late, and we will lock in three degrees Celsius or more of temperature rise, with disastrous economic, social and human consequences,” he said. That remains to be seen. It also remains to be seen if this summit will lead to action that really reduces greenhouse-gas emissions. Scientists who have formed a group called the Climate Action Tracker estimate that global mean warming would reach about 3.5 degrees Celsius by 2100 with the current reduction proposals on the table. As the Durban summit closed, Christiana Figueres, executive secretary of the UNFCCC, said: “Countries have all laid aside some cherished objectives of their own to meet a common purpose – a long-term solution to climate change.” The next few years will show if she is right. If she is proved wrong, the earth will survive: it has been through periods of far higher and far lower temperatures and far more violent weather extremes in its 4.5 billion year history. But human existence as we know it has evolved largely in the current climate regime and agriculture, crucially, is dependent on it. This existence is at grave risk because governments are not doing enough to avert a more climate-violent world. 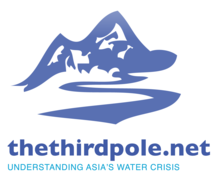 Joydeep Gupta is project director (south Asia) of chinadialogue's third pole project. As UN climate talks continue in South Africa, Robert Engelman presents the case for a new framework to address climate change, without the distinction between “developed” and “developing” nations. A positive result in Durban demands political leadership, write Thomas Spencer and Emmanuel Guérin. With Europe in crisis and America politically jammed, will Beijing step up?